Provençal liturgist; his period and birthplace are unknown. He was the author of a didactic poem entitled "Toẓe'ot Ḥayyim"; it comprises fifty-eight sections and was edited in Menahem di Lonzano's "Shete Yadot" (Venice, 1618). 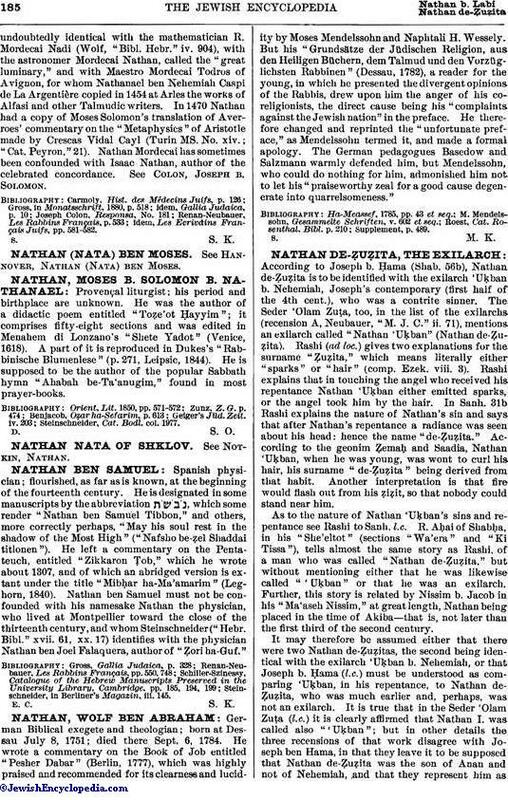 A part of it is reproduced in Dukes's "Rabbinische Blumenlese" (p. 271, Leipsic, 1844). He is supposed to be the author of the popular Sabbath hymn "Ahabah be-Ta'anugim," found in most prayer-books. Steinschneider, Cat. Bodl. col. 1977.